I recently had the opportunity to try a couple of new cigars from Miami Cigar, one being today’s tobacco du jour – the Nestor Miranda Special Selection Exclusivo Regional (Midwest). Assistant Director of Marketing Barry Stein, who provided the samples, tells me these cigars are a limited production line for the US Midwest, will be available in two vitolas (Robusto Extra 5.5″X54, and Toro Grande 6″X60), and will retail for $8 and $9 respectively. The wrapper on this stick is San Andres, a departure from the NMSS core line offerings in (Ecuadoran) Connecticut, (Nicaraguan Habano) Rosado, and (Nicagraguan Habano) Oscuro wrappers. 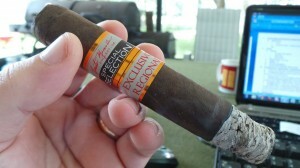 The Exclusivo Regional also has Nicaraguan filler and binder, and both vitolas will be box-pressed. Knowing my proclivity for loving San Andres leaf, it took all the self-control I could muster to give the cigar a cursory exam before lighting. It comes with a beautiful milk-chocolate brown wrapper, uniform in color and covered with sparse but evenly distributed tooth. It has little sheen and is very dry to the touch, with moderate veining. The veins and seams are largely obscured by the press, with the seams being all but imperceptible. I find neither soft nor hard spots across the length of the cigar; it is solidly built and the bunch feels evenly distributed. I did note that the weight feels slightly lighter than I would have expected before picking it up. The aroma before lighting is very faint along the wrapper, more pronounced at the foot, and of molasses and some mild hay. The cap clipped perfectly – I have, at different times, had some issues with cracking San Andres wrapper leaf while clipping…but both examples of today’s featured cigar I’ve smoked thus far have performed admirably. The draw resistance is firm but free; just about perfect for my tastes, and provides an unusual sweetness before light. Once lit, the initial puffs are somewhat toasty, and lean toward a caramel character. I don’t find quite as much sweetness as I might have expected in these early minutes. The flavors, however, are quite malleable and greatly influenced by the dilution of air:smoke when drawn. It seems much more sweet when you take a puff with more “fresh” air in the mix; the smoke, when drawn with little air, takes on more of a dry toast flavor, and if pushed will develop a slightly earthen taste, or chalky even. It quickly begins to progress into what I’ve come to appreciate and expect in San Andres-wrapped, Nicaraguan-filled cigars – some dry cocoa. Approaching the midsection, both cigars smoked for this review really began to settle into that cocoa-ish sweetness I commonly find in accompaniment to San Andres wrapper. The flavor development at this point is quite impressive, actually. It is far bolder and more pronounced than in the first few minutes. The cocoa is accented by a flavor that reminds me of well-worn leather; not with the sharpness of a hide fresh from the tanner’s bench, but more akin to the mellowed sweetness of a long-used, much-loved baseball glove. It is worth noting that for the entire length of both samples I smoked for this review, I never even had the thought of reaching for my lighter cross my mind. The occasional scallop would develop in the burnline, but would quickly self-correct without intervention from me. Overall, the burn has been impeccable. The flavors in the final portion of the smoke continue to intensify – drawing back from the sweetness into the aforementioned toasty range…and onward into a sharper, slightly woodsy profile. If you’ve ever burned any of the fruitwoods – apple, cherry, or even citrus – you may know exactly what I mean. The smoke carries its sweetness, but is tempered by an ever-present, albeit moderate astringency. As one who has a habit of piling various cuts of meat into the smoker and watching for hours on end with bated breath, this interplay is very appealing to me. It is well documented that I am generally a big fan of San Andres wrapped cigars. I love the mellow cocoa and leathery flavors that the leaf can contribute to a cigar. 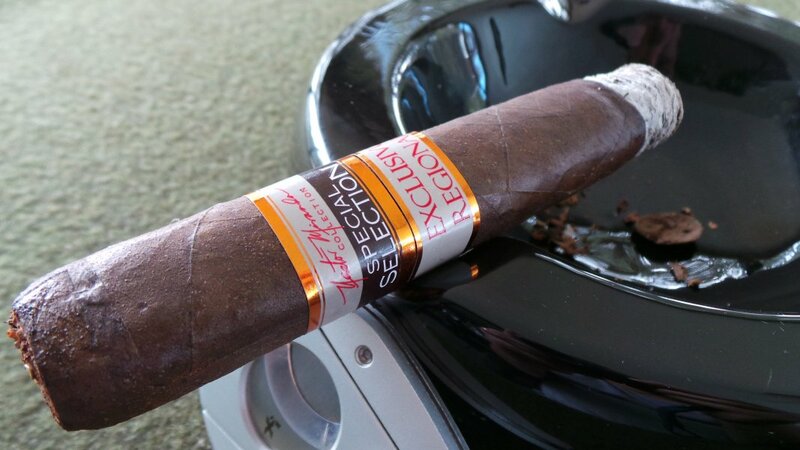 Once in a while, a blend comes along with this wrapper that just “works.” This, for me, is the case with the Nestor Miranda Special Selection Exclusivo Regional. Producing none of the cloying sensory overload that may be found in an infused or flavored cigar, it merely creates an association that draws a palate-memory from your mind….firing synapses that remind you of something good. Something pleasant. Something you’ve enjoyed before. 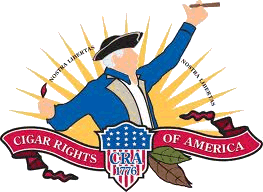 I could go on and on with accolades and recommendations for this cigar based on my pure enjoyment – but I have a couple emails to send to some guys in Illinois who might have a line on a box of these for me….